Description: Topped with a crisp drum shade and sweeping, Greek key-style base, this polished floor lamp exudes a sophisticated sense of worldly appeal. Hardwired. Description: A beautifully crafted brass bow dresses the otherwise simple form of this form lamp with charm and elegance. 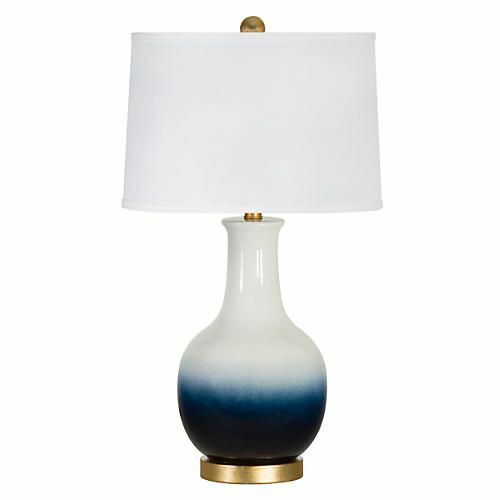 A mirrored glass cube on the base of the lamp helps reflect and spread light. 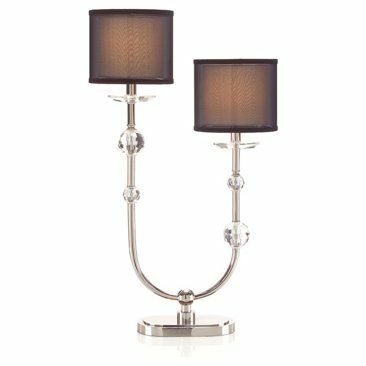 Polished and refined, this floor lamp is crafted of iron and brass with a neutral silk shade that features a coordinating trim. 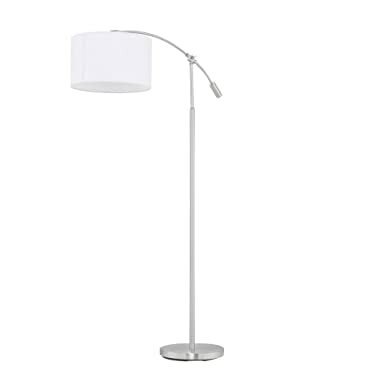 Description: A minimalist’s dream: This slender floor lamp features a sleek, interlocking steel frame set atop a square pedestal. Finished with a silk barrel shade and a neutral gray trim.